We are more than happy to welcome our new partner ATEGRA AG in Switzerland. They are developing powerful, easy-to-use and well thought-out Notes and Domino based software systems for more than 20 years with a great customer trust. Together with ATEGRA we extend our reach in the Swiss market to bring our powerful teamWorkr solution to even more potential customers. We are extremely exited to welcome our new partner stanoc GmbH. They specialize in software solutions that make your business more effective and efficient with a focus on email archiving, unified messaging and CRM solutions since 2003 with a great commitment to total user friendliness and maximum performance. Stanoc and Team Technlogy joint forces to developt a new revolutionary smart way to push emails from Microsoft Outlook to IBM Domino Apps. Christmas came early for us this year at Team Technology. As announced by IBM on December, 18th 2018, teamWorkr can now be purchased directly from IBM and is now available via IBM Passport Advantage. Welcome Intec! With Intec we are more than happy to welcome our first partner in UK. Intec Systems Ltd. collaborate closely with their clients, bringing together business insight, significant experience and technology to provide a distinct advantage in today's rapidly changing business environment. teamWorkr is Domino 10 Ready! During the last weeks we participated in a few certifications from IBM. With the upcoming release of Domino V10 only being days (October, 10th) away now, we are happy to announce that Team Technology and teamWorkr are Domino 10 Ready. IBM announces an agreement to resell teamWorkr to provide new web and mobile-based application experiences for Domino 8.5.3, or higher, with minimal effort.Designed to benefit clients through rapid modernization of Notes Domino applications that administrators, savvy business users, or students can be taught to master. New month, new partner. With IMCollaboration we are happy to welcome our second partner in the USA. IMCollaboration has been helping companies with migration and coexistence for over 9 years. We currently engage with companies who need to maintain their Domino applications environment but want them accessible and in the cloud. teamWorkr provides web accessibility to Domino applications and HCL for the cloud hosting. Partnering: DI Kendöl & Partner IT Services Ges.m.b.H. New month, new partner. With DI Kendöl & Partner IT Services Ges.m.b.H. we are happy to welcome our first partner in Austria. They have been developing tailor-made applications over the last 30 years, mainly based on IBM Technologies. Devoted to designing and delivering a perfect solution to any given challenge, they put their special focus on data and services integration and visualization. We are truly exited to welcome our new partner Cyone in Riga, Ladvia. With this new partnership Team Technology is extending it's reach to a lot more customers in the Baltic States, Russia, Scandinavia, and other European countries. With their professional experience with over 20 years in the IBM software market we are happy to have them on board. Team Technology has been featured as a runner-up for Outstanding Collaborative Work Solution. 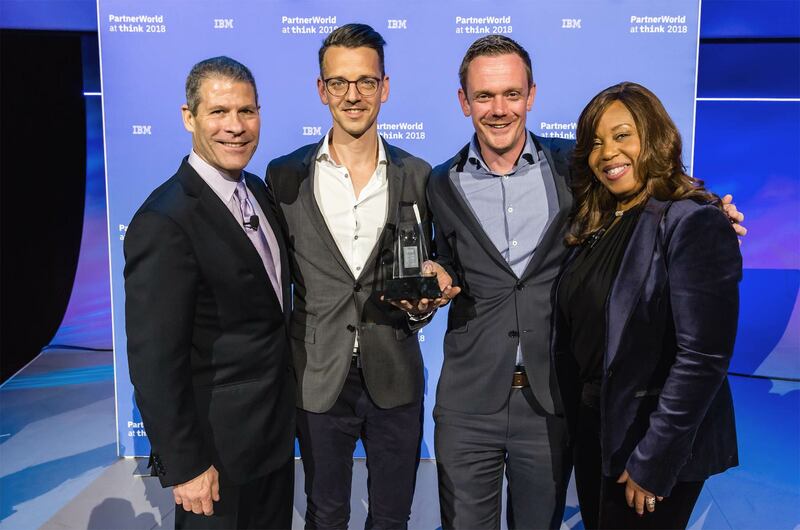 Revealed at the IBM PartnerWorld at IBM Think conference in Las Vegas, Nevada on March 20, 2018, Team Technology is pleased to announce that we’ve been selected by IBM as a runner-up for Outstanding Collaborative Work Solution and Beacon Award Finalist.